Have you noticed that dressing up in full red-white-and-blue regalia for summer holidays has become a thing? No longer is it enough to show up to a Memorial Day barbecue or Fourth of July fireworks show in a pretty sundress; now you’ll feel left out if you aren’t decked out in flag-printed cutoff shorts and a star-spangled tank top. 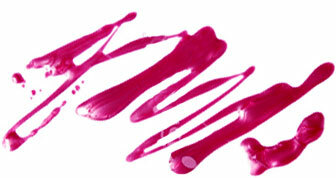 Nails, of course, must match. If you’re too busy to mess with some 23-step Pinterest tutorial for creating an elaborate American flag replica on your fingertips, don’t worry — you can still rock an impressive-looking tribute to ‘Murrica on your nails thanks to a new polish from Sephora’s Formula X range. 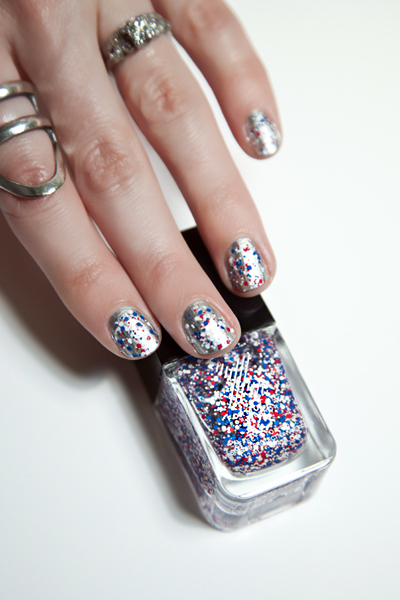 The Liberty Top Coat ($12.50, sephora.com) is patriotism in a bottle: a clear lacquer spangled with red, white and blue confetti in varying sizes. In anticipation of the holiday weekend, I painted a couple coats of Liberty over a base of silver polish for a parade-worthy Memorial Day manicure. Pretty cool, no? And it works perfectly with a pair of stars-and-stripes-printed high tops.